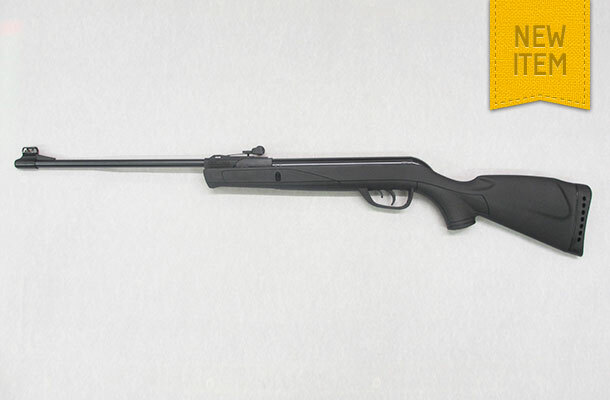 The Gamo Deltamax is an ideal air rifle for the young shooter. This Spanish made 4.5mm (.177) cal rifle weighs in at only 2kg (4.4 lbs) and has a muzzle velocity of up to 525 feet per second. Features include black polymer super tough stock, adjustable rear sight, non automatic safety catch and smooth cocking “break” action. A telescopic sight of your choice can be fitted as an extra if required.